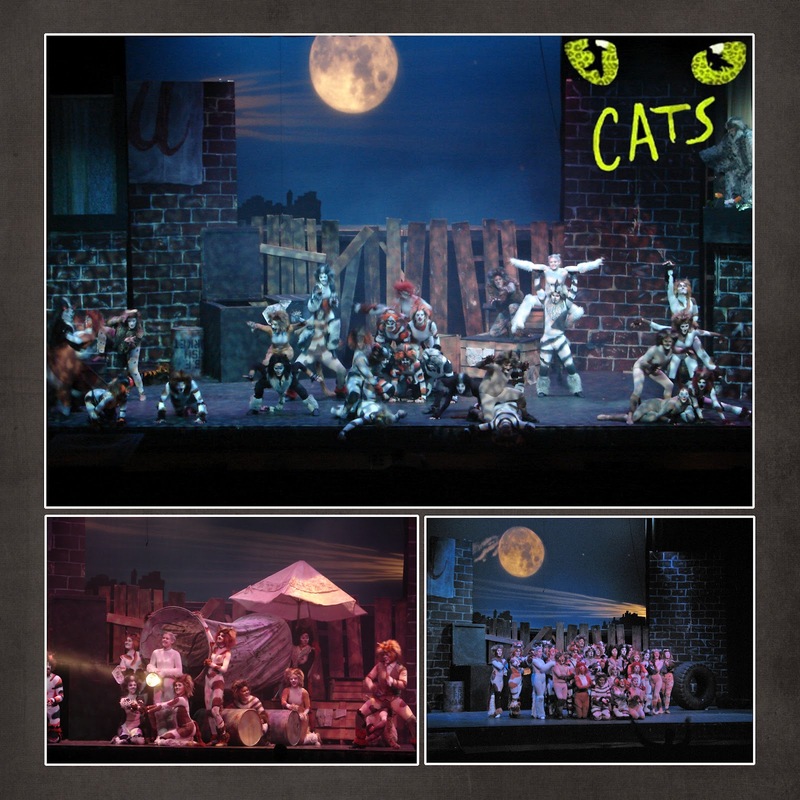 Cats was my first show ever. I knew it was a big dance show and I was encouraged by the audition call that said "need singers; need dancers, you don't necessarily have to do both." I certainly did not want to sing. I remember being SO nervous for the audition. They ended up making me sing...Happy Birthday. That's me in the blue. I LOVED everything about the make-up. So fun. I love the transformations of theater. Thru Cats, I met some fabulous ladies who have become some of my closest friends. 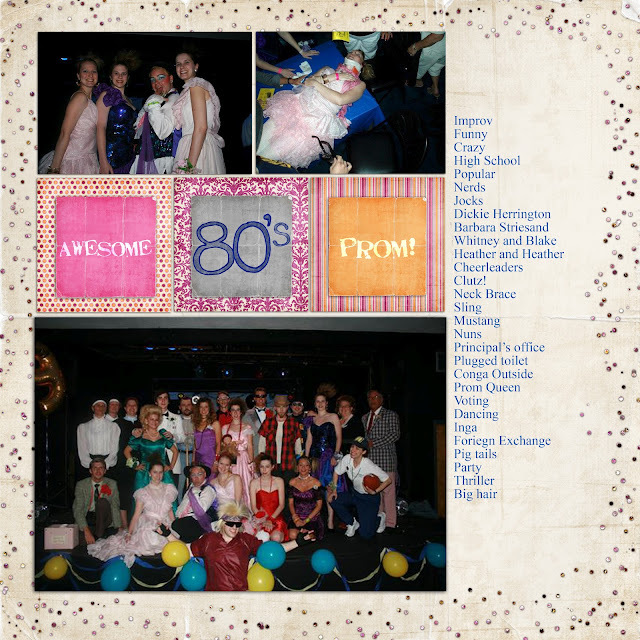 Two of them convinced me that I needed to do 80's prom. No singing here. Totally an improv show with LOTS of crowd interaction. I had a blast playing a very ditzy, clutzy cheerleader. I saw a production of Cabaret at UW-Eau Claire and was completely moved by it. 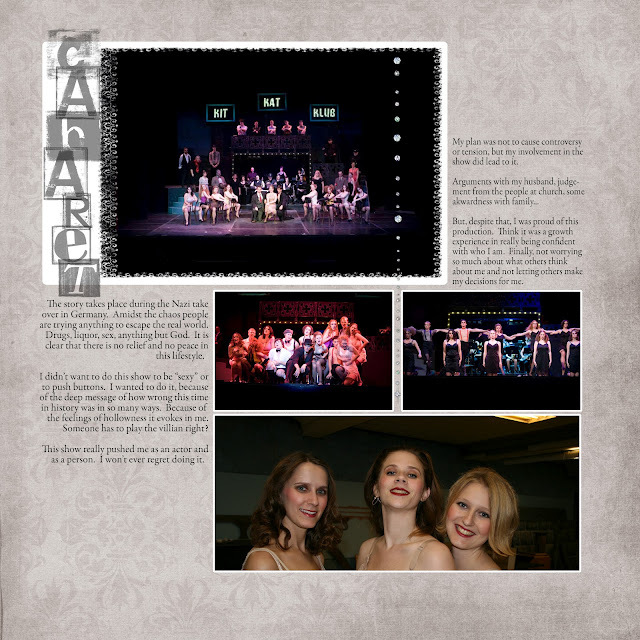 You can read the journaling about why I did this show if you want. It was a trying time in my life. Doing this show pushed me creatively as an actor, but also helped me realize a lot about myself, my values, and what I stand for. It made me realize who my true supporters were. I received a lot of judgement from doing this show...from people who made no effort to discuss with me why I was doing the show. There is a missing show here. I played the Ghost of Christmas Past in a production of a Christmas Carol. I wore a pretty dress; it lit up. I climbed a ladder to magically appear in Scrooge's bedroom. We "floated" down on a lift. It was pretty flippin' cool. I played opposite one of the best actors in the Chippewa Valley. His Name is Ron. Amazing as Scrooge. I can't speak highly enough of him. 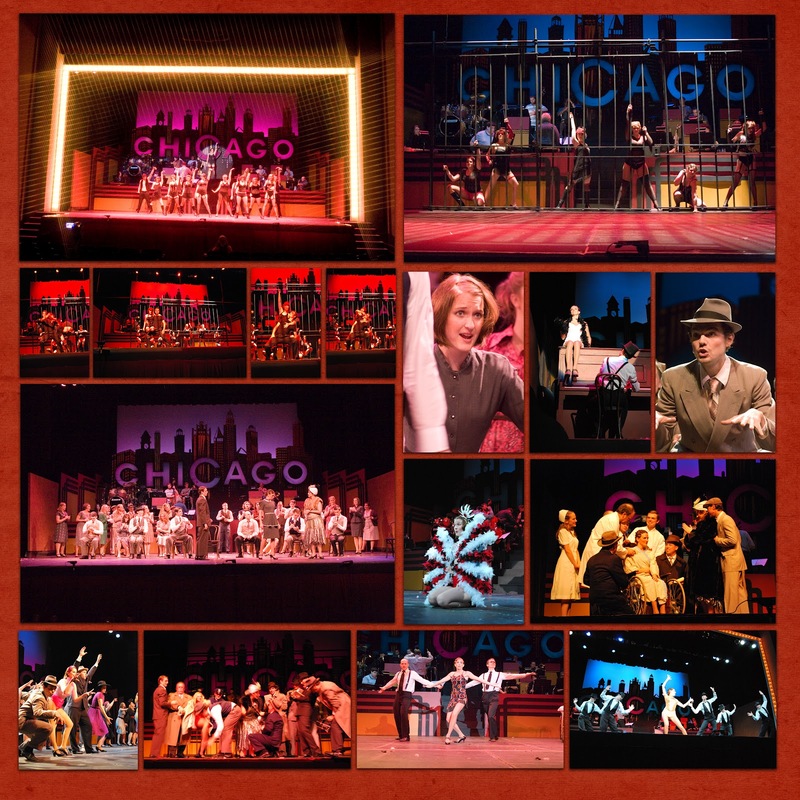 It was Ron who directed Chicago. I was HONORED to be a choreographer for this show. I wish you could have seen it. AH-MAZ-ING. 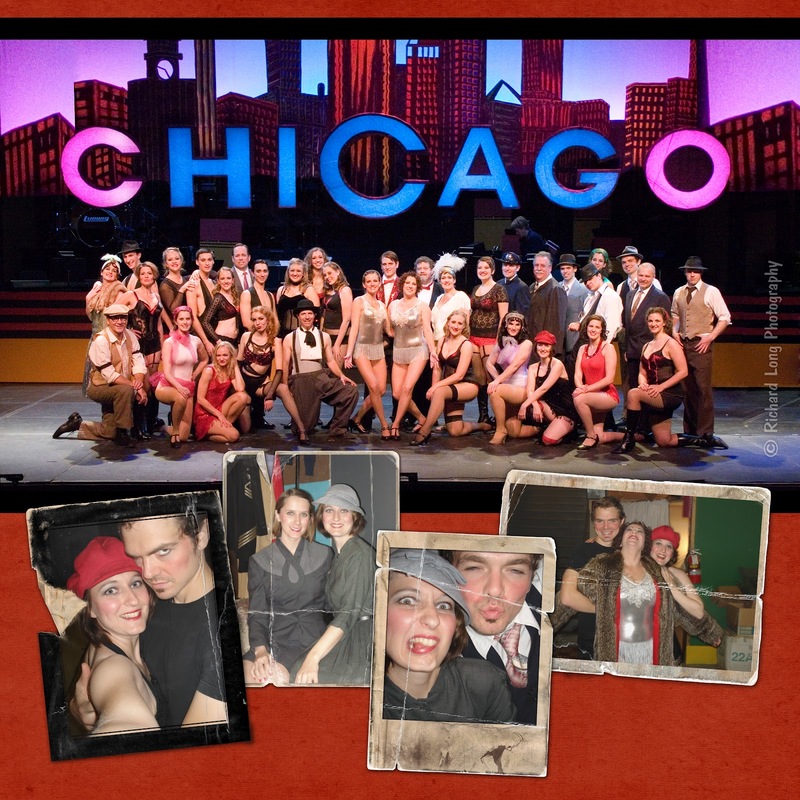 If you know this show...one of the dances I got to choreograph the Cell Block Tango. Not gonna lie, it was hot. So...when I got a call from my good friend Tessa saying she was working with Ron and asking if I would do choreography for Gypsy. There was no way I could say no. I didn't know this show at all. Our first production meeting as Ron and Tessa showed me videos and shared their ideas, I was excited for the project...to choreograph. awesome! can't wait for the next one!